1. Turn bias potentiometers to min bias value --> anticlockwise in my case. 3. Fit 1A fast fuses in the sockets or use small value resistors soldered on top of the blown fuse. 4. 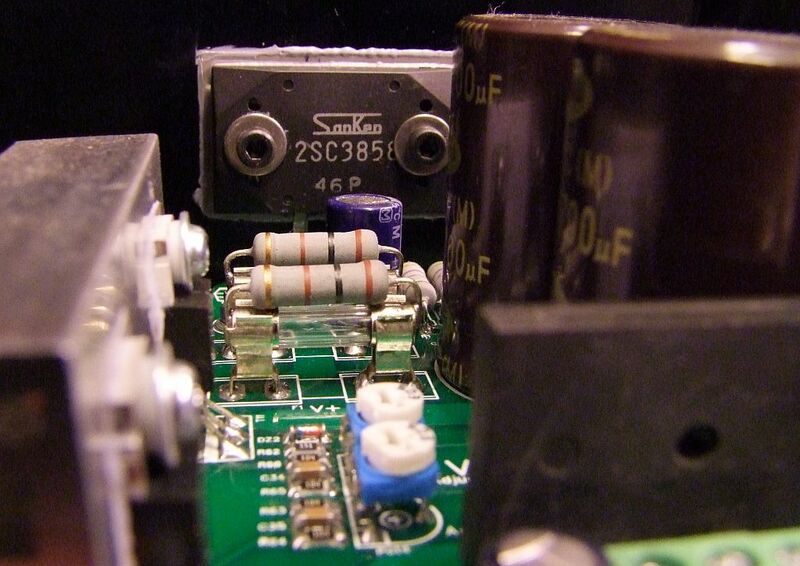 Hook up the multimeter across the emitter resistors. 5. Power up the amplifier. 6. Observe multimeter bias measurement, the value should be very low or 0mV. If bias is going abnormally high it means that there is some fault on the board and you will have to switch off the power quickly and recheck the PCB again. 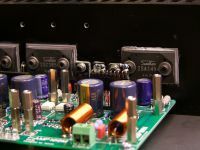 For rechecking the PCB you can remove the fuses and power up the amplifier without them, biasing circuit (two resistors) has separate power supply and you will be able to check the voltage across PD --- ND (approx 2-3V). 7. I hope all went well and the output stage bias can be set correctly. Now, it is the time to power off the amplifier, turn bias potentiometers a few turns anticlockwise to reduce the bias setting and fit the IPS board. 8. Fit the IPS board and repeat the bias set up procedure. 9. Wait approx 10 minutes and recheck the output bias again.